Low self esteem signs are not always easy to notice and can have a damaging effect on your life. At the heart of low self esteem lie negative beliefs about yourself. If you have had a positive lifestyle, had positive affirmations given to you by your parents, friends or teachers, then the chances are you will be fairly confident and have a high self esteem. However, if your life has revolved around negative thoughts, a negative household/job/friends, then in all likelyhood you may well have a low self esteem, as your view of yourself will probably be rather negative. Ask yourself some of these questions which relate to symptoms of low self esteem. I have talked about not criticising yourself before. Do you criticise yourself and have a poor opinion of yourself? This is probably the biggest sign of low self esteem; are you always thinking you're not good enough? Do you find yourself apologising a lot? This is another symptom of low self esteem. Finding the symptoms will give you the reasons to go ahead and improve your self esteem. Do you avoid challenges and opportunities because it's easier to do that than face them full on? Are you shy or anxious? This is yet another of the low self esteem signs. Having a long term anxious mindset can really wear you down. Both of these are low self esteem signs - they go hand in hand and are known as negative body language. Are you a great one for folding your arms, almost in self defence, when talking to people - it's a form of self protection but is shows you are not confident. Do you turn your head down and possibly speak too quietly. Tired, listless and no motivation? This is probably the accumulation of all your symptoms put together. Low self esteem also has an effect on your emotional state of mind. Emotions can be such things as anxiety, frustration, guilt and shame. Do you treat yourself well and look after yourself properly? Are you the sort of person that struggles on regardless, even when you are feeling really ill, or do you smoke and drink too much because you don't really care what you look like or smell like? Do you feel good about yourself? 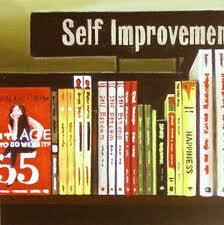 If not, learning how to increase self esteem will help with your overall confidence. Haivng low self esteem signs reflects in everything you do, from school (more on teen self esteem), to work, to relationships, but you can learn to build self esteem. If you do have low self esteem, I bet you find it very difficult to take any credit for the good things you've done, the results you've achieved and so on. In relationships, a low self esteem may take the form of acute self consciousness and a real sensitivity to being criticised, as well as having an eagerness to please. Overcoming insecurity is sometimes a big path to tread, but is definitely one that can be resolved. However, it is sometimes the case that some of the above symptoms of low self esteem come from the mood you are currently in. Having a better self esteem can by changed by following through on some very simple self esteem exercises. Other signs of low self esteem may have arisen from a long illness which can be very demoralising and draining, as can difficult relationships. The good news is that if you can learn to overcome low self esteem then your life will be a lot more fulfilled and happier.